I basically seen a few attempts of making these out there and thought with my practical skills of being a Qualified Electrician i could built one a little bit better. The Computer took quite a lot of time and effort to build and my house ended up a hell of a mess just making this thing. 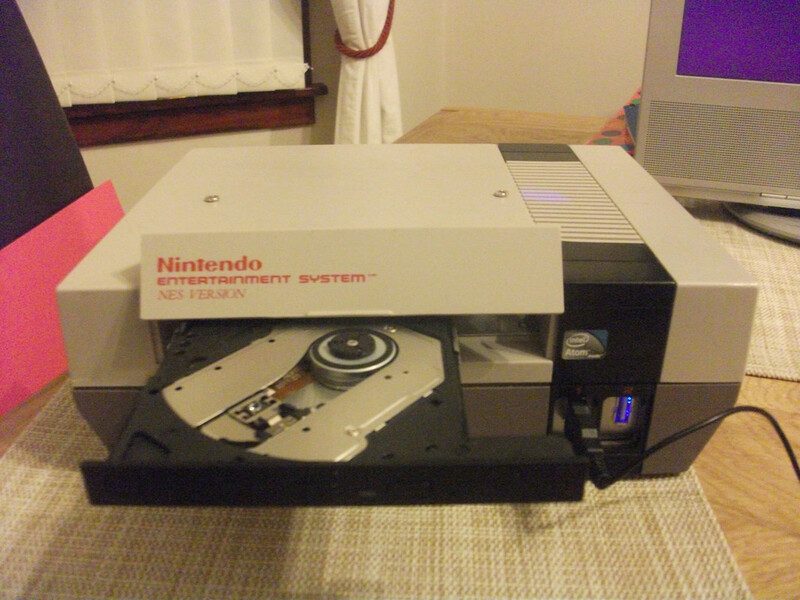 I reckon it is the best Nes Pc mod that has been made just yet. 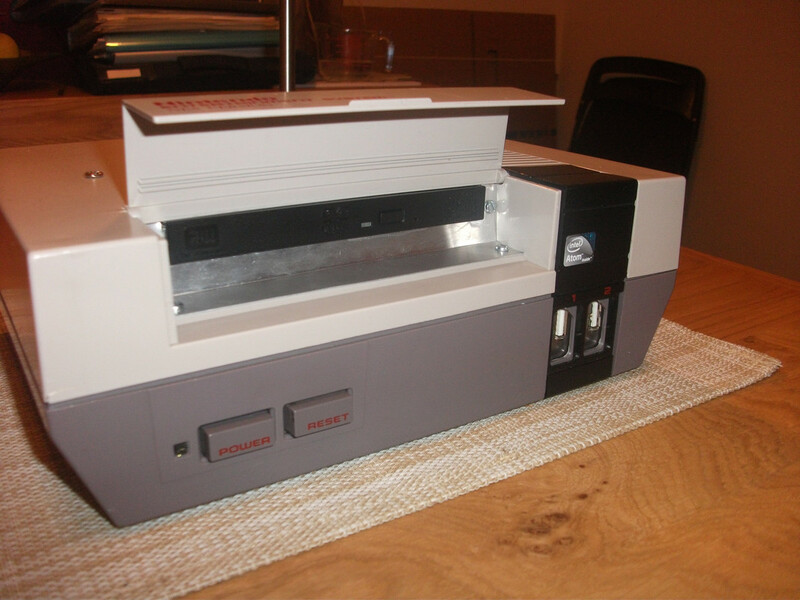 For the Case an old Nes was stripped apart , had all the plastic cut out and was lined with sheet metal in order to fit all the components in and keep a sturdy solid case. I have Tried to keep everything as discrete as possible so i have also lined the area round the Disk drive with metal to give a neater appearance. The front panel where you would normally plug the game pads into has also been converted to two USB ports. 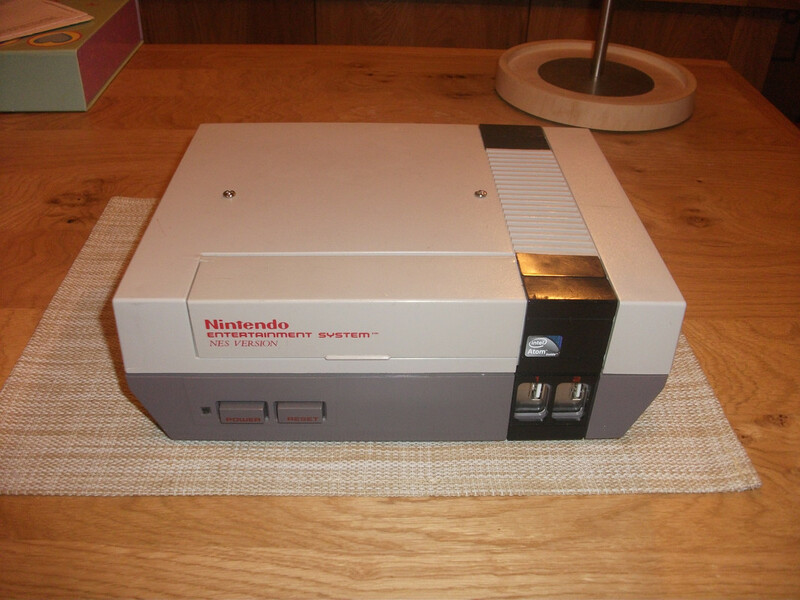 The Original Nes Power and Reset buttons have been wired and soldered to the motherboard so that the computer operates just like the old NES would have. The Power Led is also fully Functional. 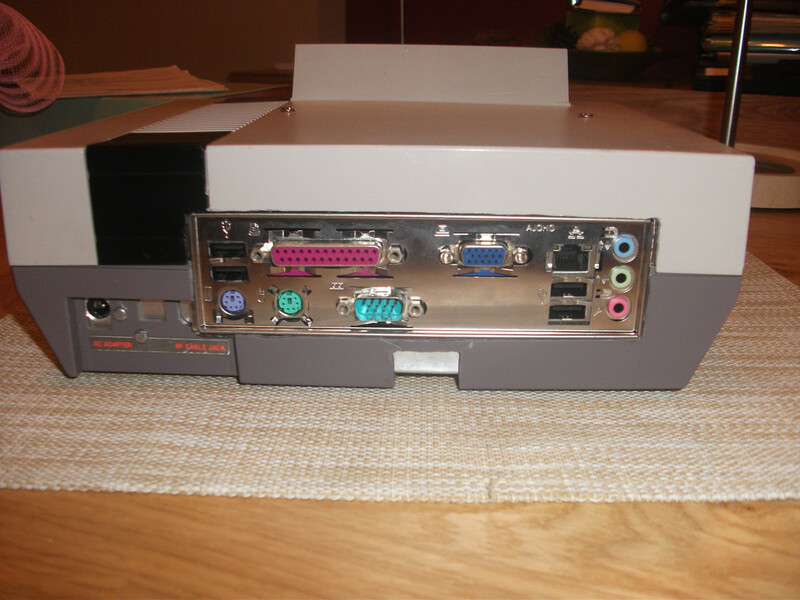 I managed to pick up a ASRock A330GC Mini Itx Motherboard for this which managed to fit perfectly in the Old Nes case once it was all cut out. It contains a Dual Core Intel Atom 330 Processor 1.60 Ghz and runs pretty smooth. The full spec for this motherboard can be viewed here http://www.asrock.com/mb/overview.asp?Model=A330GC . Other components used are a Samsung SN-208BB 8x DVD-RW DL & RAM SATA Laptop Drive which is fitted very nicely under the flap where you would usually insert your game cartridges and also a Seagate Momentus 7200.3 SATA 3Gb/s 160-GB Hard Drive. 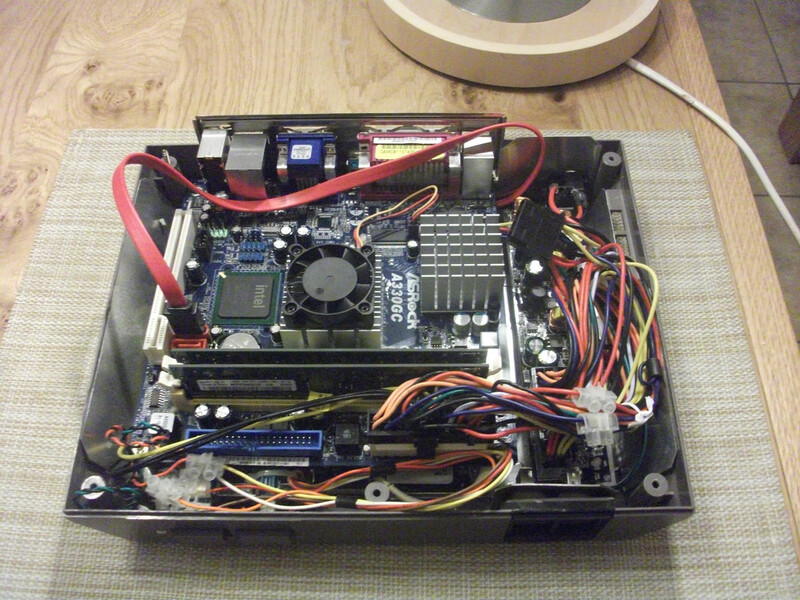 It also has 1 GB Ram DDR2 ( 2x 512MBs ). 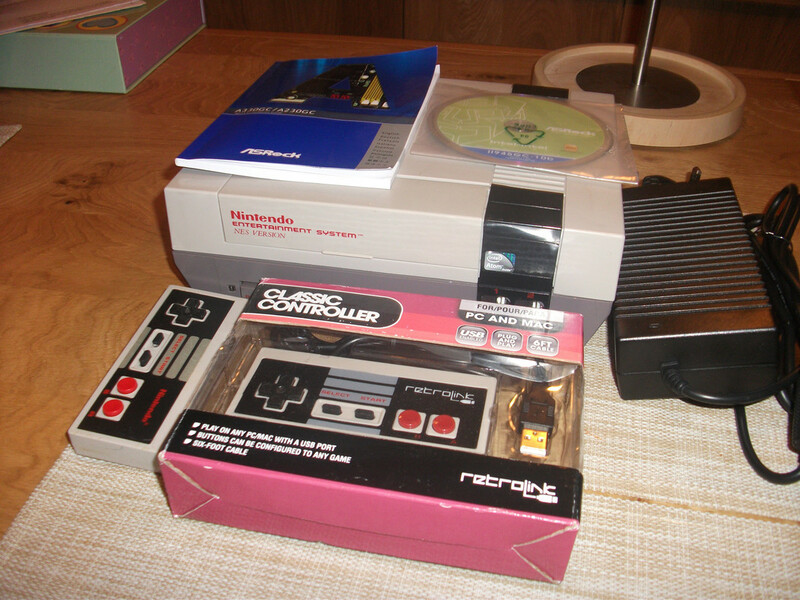 I had to include a RetroLink Retro NES Style USB Game Pad that is unopened to top it off as well so that you can play all the old nes classic in retro fashion. fair play Jamie, that is ****ing awesome. Why don't you put it in the Case Mod Gallery of TPU? I reckon you'd surely get lots of praise. have you ever thought about doin the same in a saturn case or any other retro consoles?